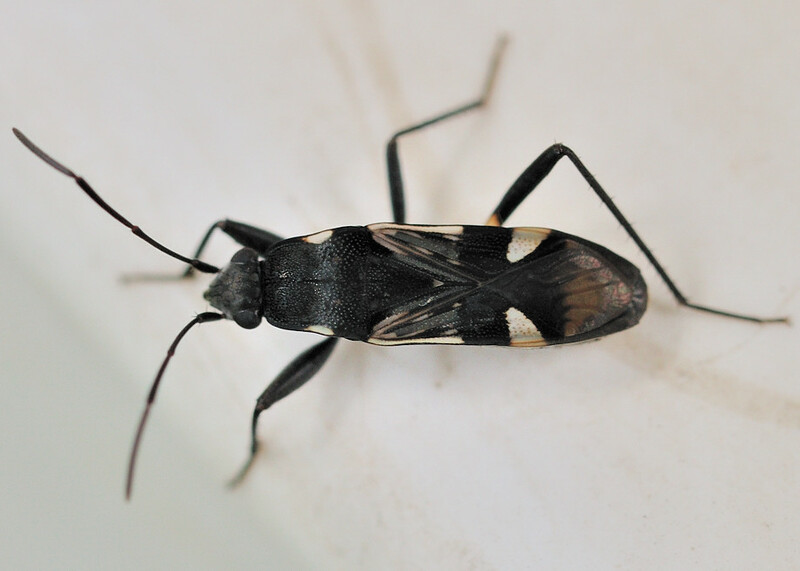 This page contains pictures and information about Black and White Seed Bugs that we found in the Brisbane area, Queensland, Australia. 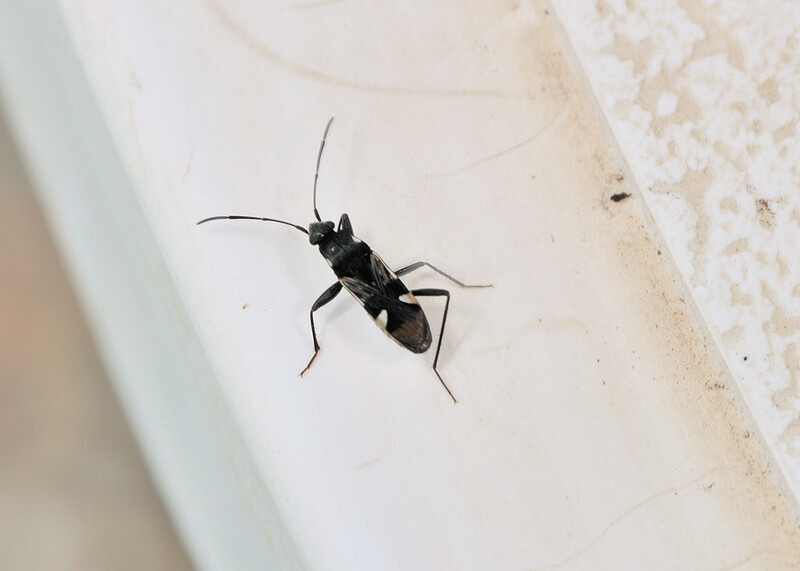 We found this small bugs on the table in our backyard. It was Feb 2010. 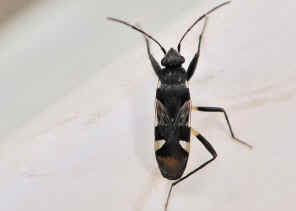 For some reasons, this bug lose its two left legs. This bug feeds on vein near the root. 2. Species Dieuches maculicollis (Walker, 1872) - Australian Faunal Directory, Australian Biological Resources Study. 3. Dieuches atricornis Stål, 1874 (syn to Dieuches maculicollis) - Swedish Museum of Natural History.